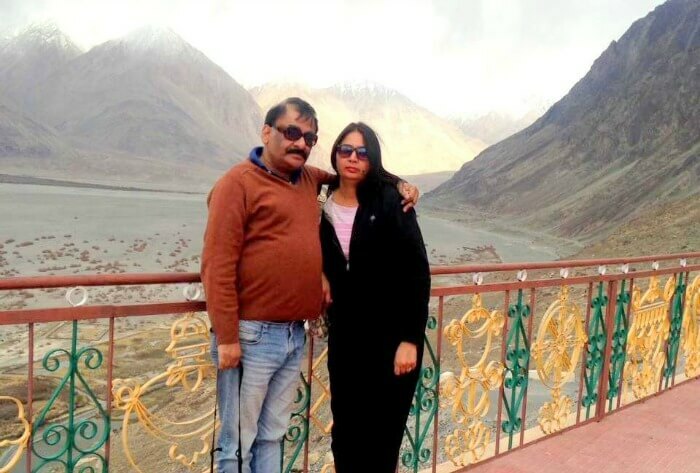 Mrs. Anuradha Sharma narrates her venture into the rugged and picturesque terrains of Ladakh with her husband, a 30th-anniversary gift by him that was booked via Travel Triangle. 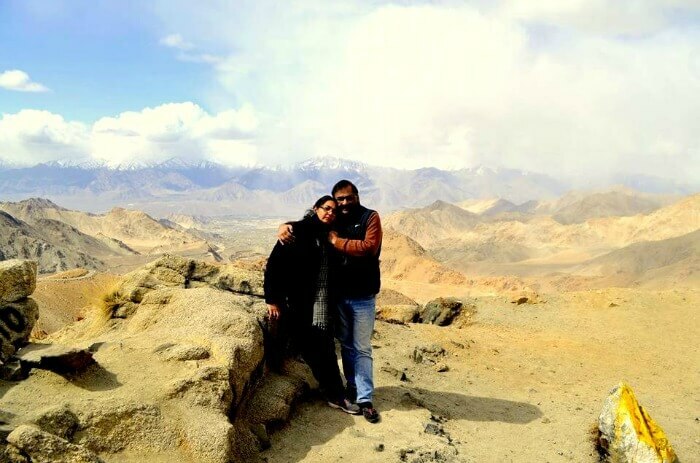 An attempt to ditch the usual hectic life and celebrate their long relationship amidst the beauty & peace of Ladakh, their holiday turned out to be better than expected. 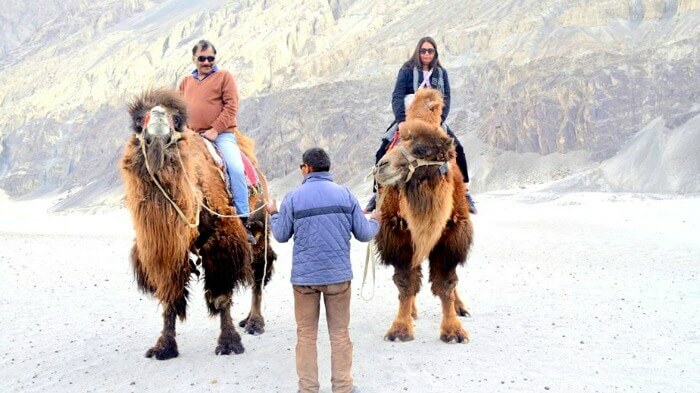 Their 5nights/6days Ladakh package cost them INR 37000 and covered their hotels, breakfast, sightseeing, and private cab transfers. 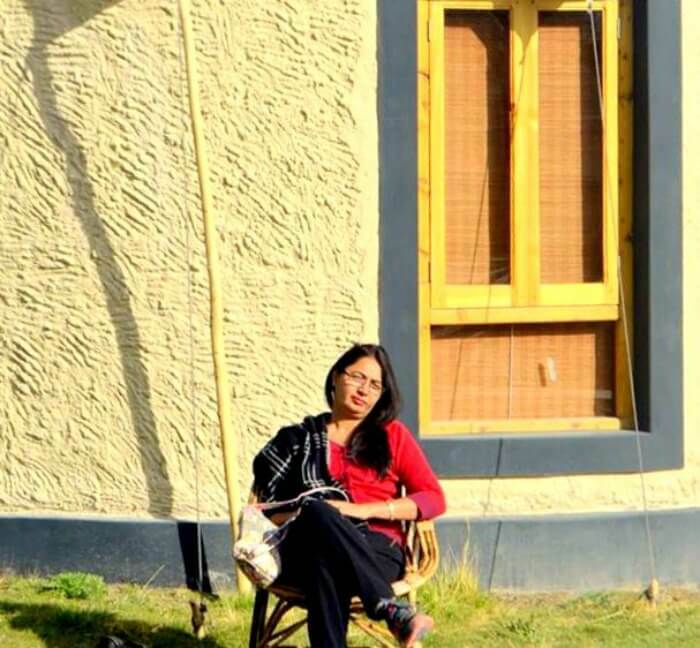 Owing to the hectic schedule and the hustle-bustle of our city lives, my husband and I wished for a summer retreat to enjoy the mountains and a cooler climate. After going on three trips with our kids in the last one year, my husband planned a vacation for just the two of us to celebrate our togetherness on our 30th anniversary. 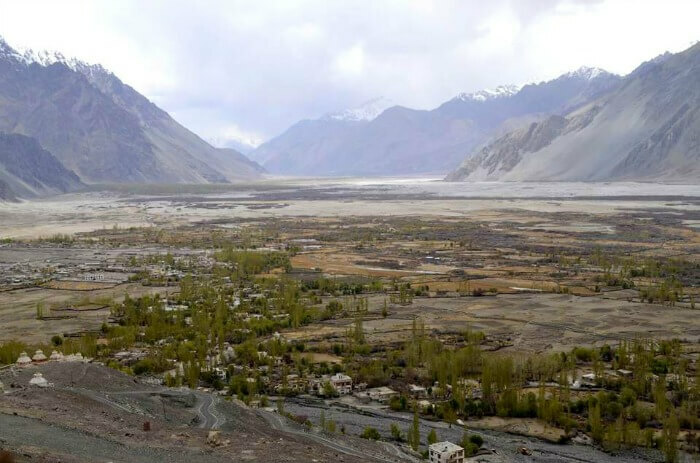 We got to know about Ladakh as a vacation hotspot on TravelTriangle.com and we were thoroughly impressed by the landscape of Ladakh and the tour packages on offer. So after raising a trip request on the website, we were called upon by their representative who understood our requirements. 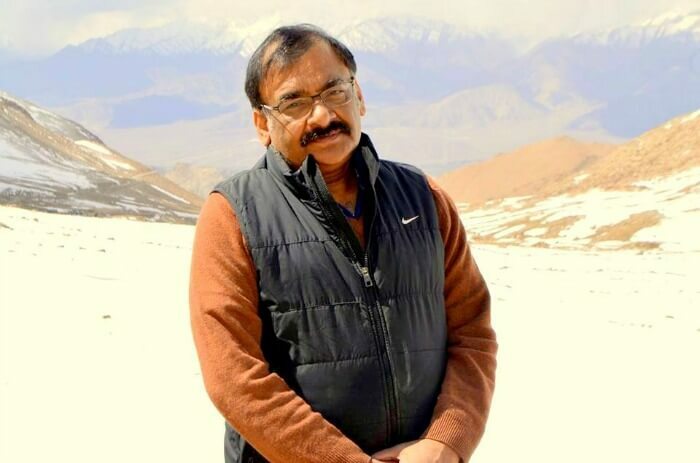 He connected us to various travel agents on their website for best quote, package and customization. Finally, we zeroed in on a package offered to us by the agency ‘Amazing India Routes’. 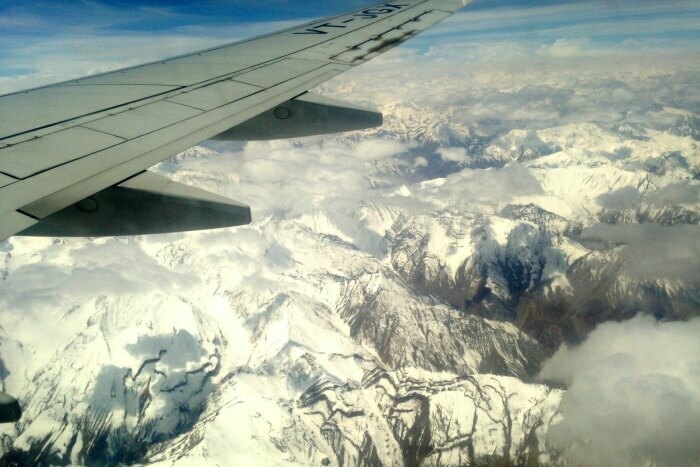 Before our departure to Ladakh, it was recommended to us that people traveling via flight should give one day in their Hotel room to adjust to the drastic change in altitude from New Delhi (216m) to Leh City, which stands at a massive 3500m above sea level. Taking such a precaution was necessary for us to enjoy the vacation and avoid a heavy migraine and or a headache due to lack of oxygen. 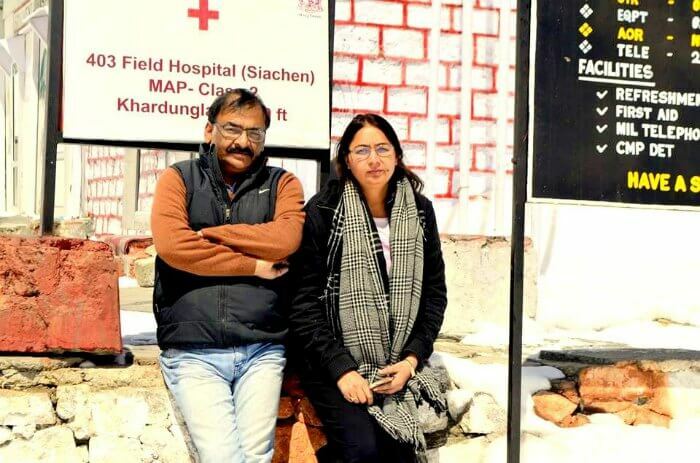 As we landed at the scenic Leh Airport, after an hour-long flight from New Delhi, the uniqueness of the location was already beginning to show. We were greeted at the Airport by the travel agency representative who then transferred us to the hotel where we decided to spend a day inside to adjust to the weather and altitude. In the evening, we finally decided to step out to explore the Local Bazaar for some shopping. 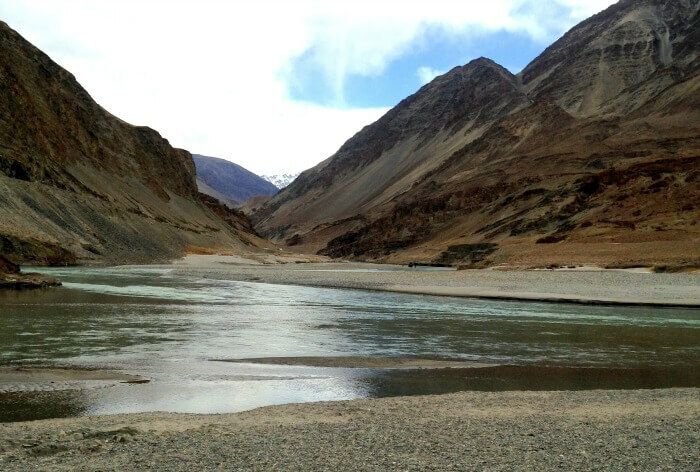 To our surprise, we found out that supplies in Ladakh at the time we traveled were very low. Essential commodities like vegetables, chicken, and groceries were in acute shortage due to the seasonal supply (May to October). Despite having taken a day to acclimatize, my husband and I woke up with a headache as our bodies were still not used to the altitude yet. However, since we did not want to miss out on the fun, we cautiously decided to continue with our itinerary after taking necessary medicines. To start off things, we were taken to the mysterious Magnetic Hill. This was a really unique experience for us because we saw how our car automatically started moving upwards on its own when we reached there. It was almost as if someone was pulling the car uphill and quite frankly we were more fascinated than surprised. Close to the Magnetic Hill, we also visited the Gurudwara Patthar Sahib and after taking blessings continued our journey. 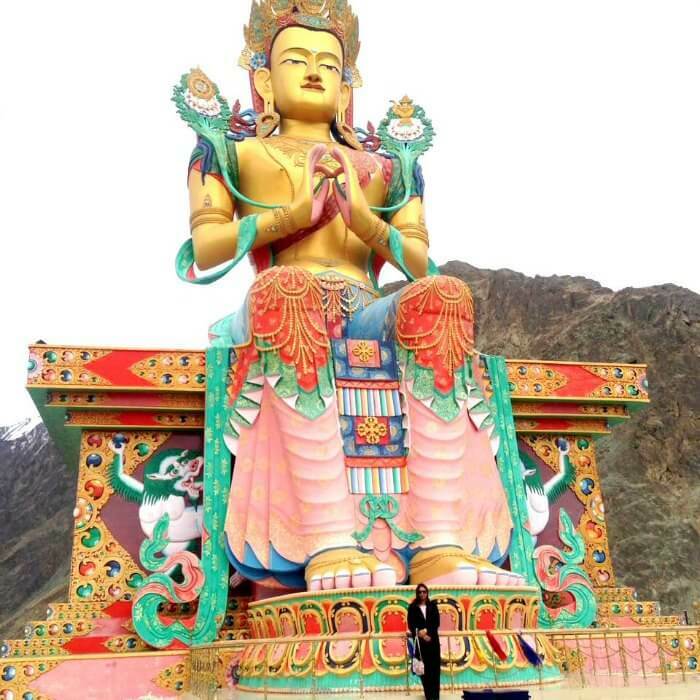 Next, we were driven 70 kilometres from Leh to visit the magnificent Alchi Monastery which dates at least a thousand years back to this day. 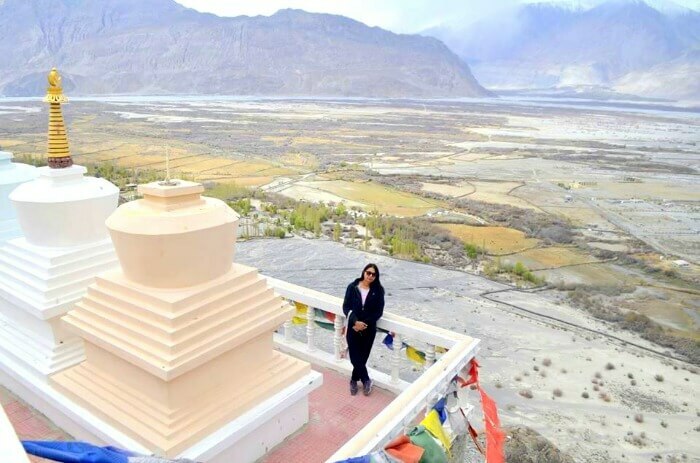 Although it is merely a tourist destination and not an active Buddhist centre, Alchi Gompa provides a rare insight into the development and progression of Buddhism over a millennia. We ended the tour with a short visit to the Ladakh Hall of Fame, a tribute to the Indian Army. Probably the most adventurous day of our trip! After having a light breakfast, we were ready to cross the highest motorable road in the world on our way to Nubra Valley. 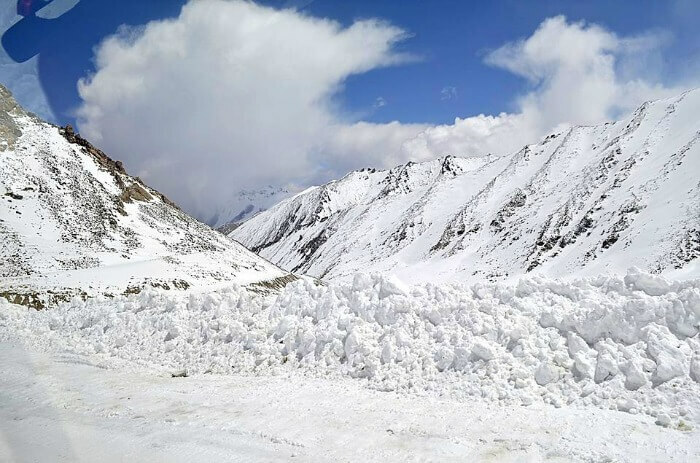 Khardung-La Pass, situated 5602 metres above sea level, holds the record for the highest motorable road in the world. Oxygen levels here are at a bare minimum and the place is completely controlled and managed by the army. Tourists are not allowed to stay here for more than 30 minutes as the lack of adequate oxygen can adversely affect them. 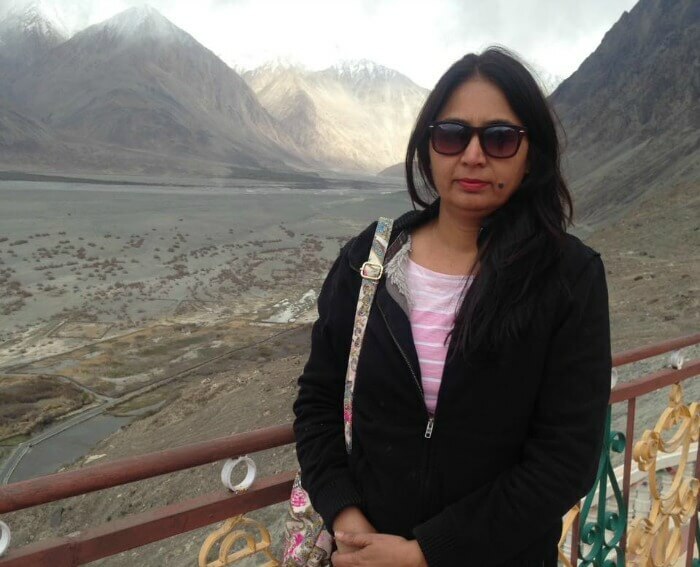 Upon reaching the Nubra Valley, we went on to visit the White Sand Dunes which gave us a holistic view of the Valley. This was a magnificent view and we saw beauty as far as our eyes could see. Moving on from the Sand Dunes, we reached the beautiful and secluded Hundar Village. The village gave us a feel of witnessing a Bedouin/Gypsy camp setup in the middle of the valley – amidst trees and vegetation. Our overnight stay was in Hundar where had an authentic overnight stay at the village campsite. After our adventurous and enjoyable stay in Hundar, we had breakfast and proceeded back towards Leh City passing back via Khardung-La. Our itinerary was free for the day so we decided to take it easy and rested for a while. In the evening, we took a stroll in the bazaar again to pass time and know more about the culture and lifestyle of the locals. After having dinner in a restaurant, we retired for the night. Some would say we saved the best for the last. Pangong Lake has always been the prime attraction of Ladakh. It is in a secluded location and is surrounded by picturesque arid mountains which give it a feeling of an unexplored place. And so when after a 4-hour long drive from Leh City when we reached a milestone 2 kilometres before the lake which read “First view of the World Famous Pangong Tso Lake” – we really got excited. It gave us a sense of achievement and pride and we were really happy to have fulfilled our desire. The lake was simply magnificent and true to its fame offered us breathtaking views of different shades of blue. It was almost as if we were in a winter wonderland that is part of a fairytale. 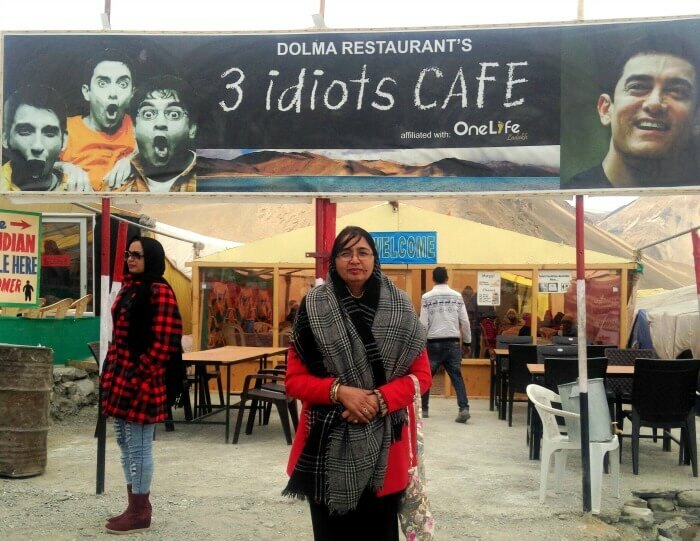 Obviously, one part of our reason coming here like most of the tourists was, the shooting of The 3 Idiots Movie and we were really thankful to the director for popularising this spot. 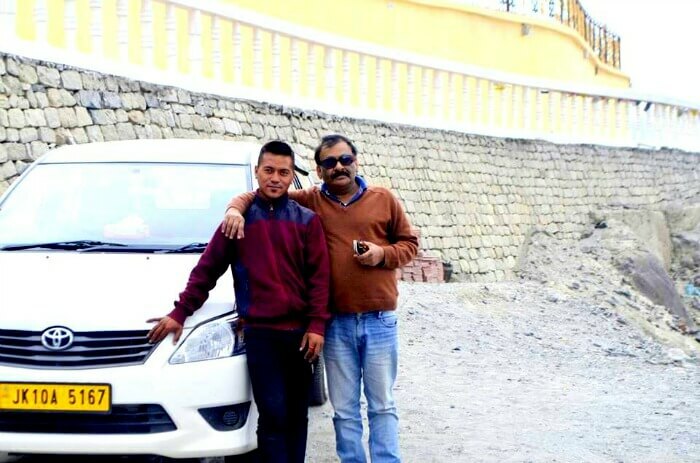 After spending a refreshing yet an extremely windy day at Pangong Tso, we left for our Hotel with lots of pictures and memories of this place that will remain with us forever. The serenity and peace of mind that we experienced there cannot be matched by any other experience in the entire world. We reached our hotel in the evening and it soon dawned on us that this beautiful vacation was soon to be over. We woke up early morning to rush to the airport and catch our flight back to New Delhi. It took us a moment to realise and process the fact how adventurous we had been over the past few days. 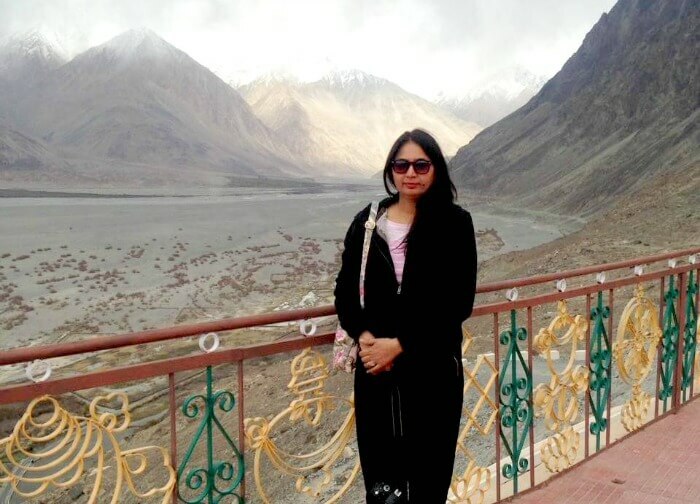 Ladakh is truly a special place and in my terms has an unknown force that can calm anyone. It is tranquil, serene, picturesque and much more than what we see in the movies. 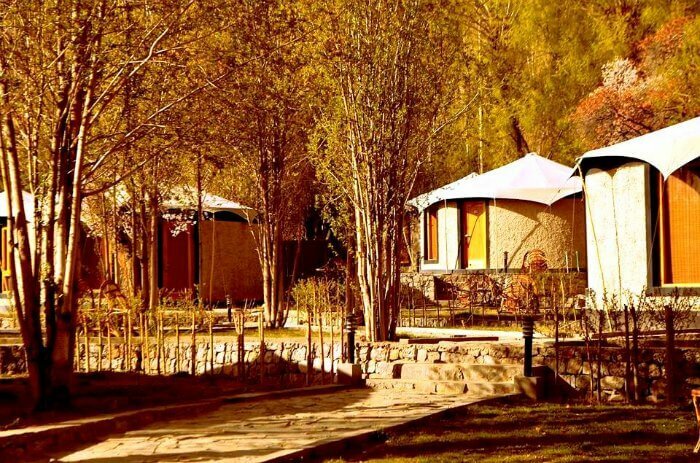 For anyone who wants peace of mind and some time to themselves and loved ones – Ladakh is the place to be! 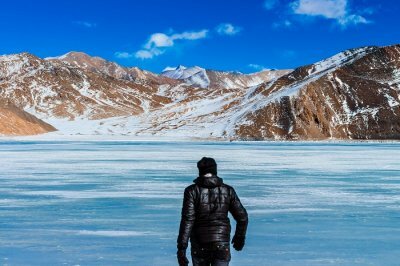 Visiting the Pangong Tso Lake was a privilege. Lack of Oxygen is often a problem. People should take ready made food if traveling in April or May.